This working paper reports the preliminary findings of a research project underway in the township of Oamaru, North Otago. The study is one part of a research programme entitled Regenerating for Success funded by the National Science Challenge: Building Better Homes, Towns and Cities: Ko ngā wā kāinga hei whakamāhorahora (BBHTC). 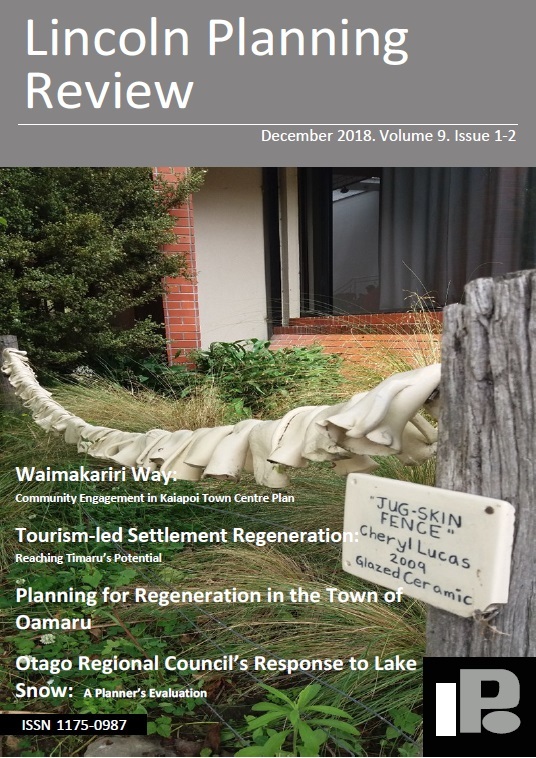 The Regenerating for Success programme asks: how are local settlement regeneration initiatives working to improve the economic, social and environmental performance of regional towns in New Zealand? What drives success, and how can improvements be made and supported? Using primary and secondary data sources, our analysis in this working paper provides a preliminary insight into Oamaru’s past, present and future regeneration initiatives and the issues associated with their integration and resourcing. We conclude by emphasising the importance of careful planning, the effective integration of multiple regeneration activities, the harnessing of local energy and creativity, and sympathetic engagement with local residents to ensure that a widely acceptable vision for the town’s future is adopted and implemented.